Ion channel modulators may help relieve muscle cramps associated with neuromuscular diseases like multiple sclerosis and dystonia, according to results from several early-stage clinical trials. The results, which will be presented at the American Academy of Neurology’s annual meeting in April, represent a possible new treatment regimen for the painful, disrupting spasms. The oral treatment reduced cramp intensity by three-fold (P<0.001) and was effective within minutes, lasting up to six to eight hours compared to controls who took placebo. Cramping appears to result from repetitive firing of neurons in the spinal cord, so researchers formulated a proprietary TRP activator that would activate TRP channels in sensory neurons in the GI tract, which then send signals to the spinal cord to create an inhibitory effect on neurons throughout the body. Thirty-seven subjects were tested across three placebo-controlled trials. The oral ion channel agents targeted the TRPV1 and TRPA1 channels to inhibit electrically-induced foot cramps in the subjects. The formulation, developed and tested by Flex Pharma, is said to include ginger and cinnamon extracts as well as capsicum. The company is not only targeting MS patients and those with spinal cord injuries and cervical dystonia, but also athletes and older adults that suffer from muscle cramps during intense activity or at night. For those patients, Flex plans to market the TRP activators as a dietary supplement, however it will seek FDA approval for indications for spasticity and dystonia. A new treatment may bring hope for people who suffer from muscle cramps or spasms from neuromuscular disorders, diseases such as multiple sclerosis or simply from nighttime leg cramps that keep people from sleeping, according to a study presented at the American Academy of Neurology’s 67th Annual Meeting in Washington, DC. “We estimate that approximately four million US adults over the age of 65 suffer daily from nocturnal leg cramps, a condition for which there is significant unmet need since there are no approved treatments,” said study author Rod MacKinnon, MD, Nobel laureate and co-founder of Flex Pharma in Boston. 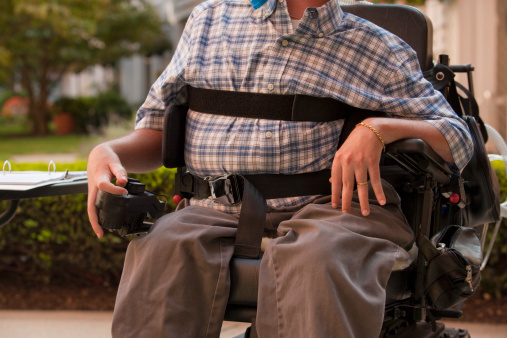 Duchenne, Becker Muscular Dystrophy Affects 1 in 5,000 Boys in U.S.